Having a small gaming machine is the goal of a number of users – I personally tend to oscillate between something massive and something small, but either way, I want it powerful. Here at CES, Zotac had its new MEK Mini on display and the design ID of it looks really impressive, along with good specifications inside. 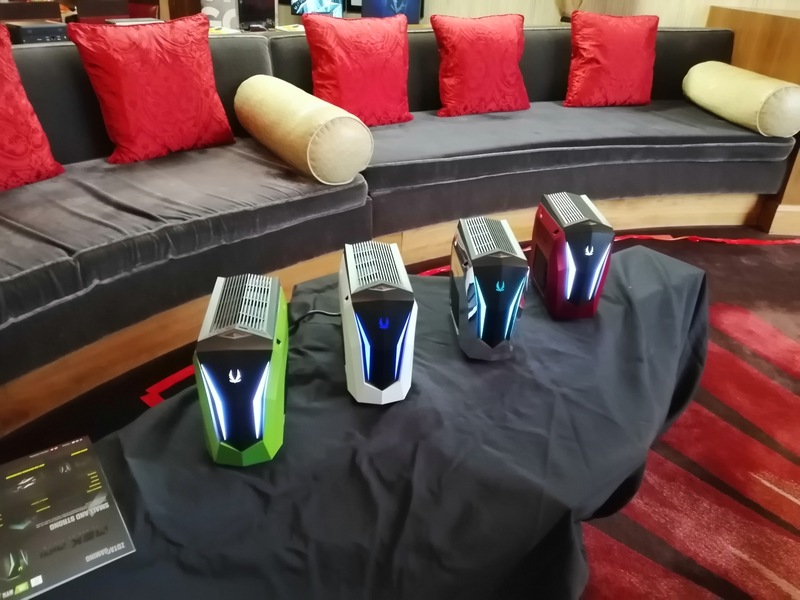 The MEK Mini was previewed back at Computex, but is set to hit the market at the end of Q1. 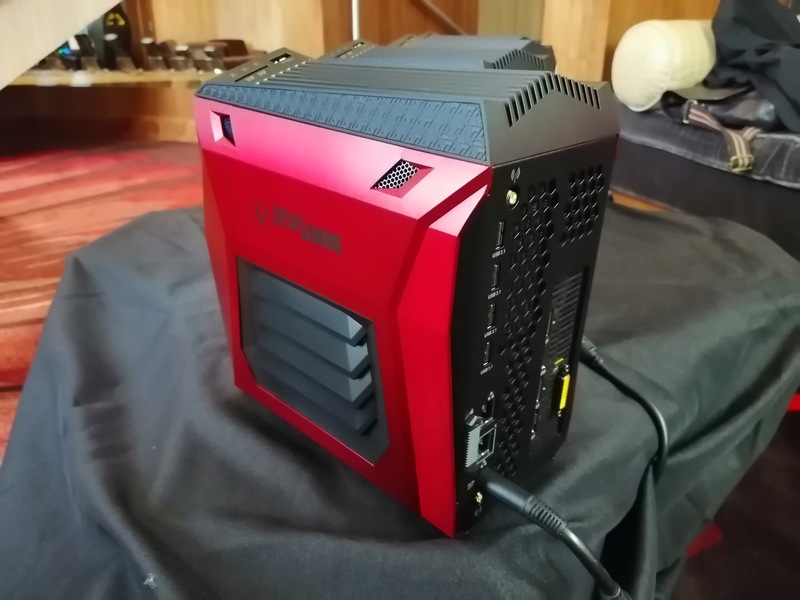 Inside it will have a custom motherboard, an Intel 8th Generation processor, Zotac's GTX 2070 mini graphics card, and the system will be equipped with Wi-Fi and dual network ports (Intel and Killer). The units on display were near-final production parts, and the company is working on which color combinations work best. There was an NVIDIA green, a white, a mirror finish, and a dark red. Personally, I liked the green and the mirror finish. All it needs now is a handle! Pricing is not finalized, and will depend on processor choice and memory. The MEK Mini sits as the smallest member of the MEK family, alongside the MEK Ultra Gaming PC and MEK1. Copyright © 2016 reviewhardware All Rights Reserved.